I would crawl naked across a field of broken glass to attend the December 10 Led Zeppelin reunion in London. And I have no rational reason to do so. The band has recorded nothing new since breaking up in 1980. Zeppelin’s quickie reunion at Live Aid in 1985 was an embarrassment. And, sadly, the band will play without its heart and soul, drummer John Bonham, whose death triggered the group’s demise nearly 30 years ago. Which begs the question: why on earth does a reasonable and discerning person like me own all six Zeppelin greatest-hits re-issues well past the point of redundancy? Why has Zeppelin sold more than 20 million albums since 1990? Why is Led Zeppelin the all-time top-selling band T-shirt at a store like Hot Topic, which caters to kids who were not even alive in 1980? I can think of three very good reasons. 1. The power of a great brand. Consider your favorite consumer brand — Nike? Apple? They have nothing on the Led Zeppelin brand name. Led Zeppelin endures because the name is forever part of the growing-up experience of a huge demographic of influential Baby Boomers, and we’ve passed along those experiences (and Zeppelin along with them) to our children. I forever associate Zeppelin with pivotal times in my life — like the moment in 1975 when my older brother introduced me to “Kashmir” on a crappy stereo in the basement of our house (it was the first time I really understood my brother); or the time my mom prayed for my brother because he was listening to a band of reputed devil worshipers. It’s also interesting to note that the only high school friends who I keep in touch with now are the same guys who bonded with me over a midnight showing of The Song Remains the Same at the Fox Valley Mall in Aurora, Illinois, during our senior year. The only reason you opened this blog post was because you saw the name Led Zeppelin in the title. The band that popularized the term “superhype” has lived up to its reputation, unleashing a phenomenal cross-promotional campaign that includes Verizon ringtones, an upgraded website, a re-release of The Song Remains the Same soundtrack, the Mothership greatest hits package, availability of the band’s catalog on iTunes, and, ironically, a cover profile on Rolling Stone, Zeppelin’s nemesis in its heyday. I had to laugh when Jimmy Page expressed astonishment over the fact that the Led Zeppelin website crashed because of the high demand for reunion concert tickets. What was he expecting from such a well-orchestrated marketing campaign? It is rumored that the band has been in rehearsals for months leading up to December 10 (I hope so if only to avoid another Live Aid debacle — so bad that Zeppelin refused to allow its appearance to appear on the Live Aid DVD). Oh, and did I hear someone mention “Rock and Roll” in a Cadillac ad? It might sound obvious, but whether you’re talking about a rock band or an automobile, a product has to be great to spark a rabid following from one generation to the next. An average rock band supported by tremendous hype will enjoy a strong following for a time but will eventually fade. Not so with the gods of rock. Led Zeppelin somehow created a different blend of hard rock, machismo, raw power, and a strange mysticism all its own (kind of like the Coca-Cola recipe). But if you’ve read this far, you probably know that already. I point out the music because I hope that Jimmy Page, John Paul Jones, and Robert Plant will take a risk and consider recording new music together instead of continuing to rely on the strength of the well-established Zeppelin brand to carry the day. Robert Plant in particular has enjoyed a brilliant solo career characterized by bold risk taking, which suggests that the group is capable of creating fresh, enduring sounds. 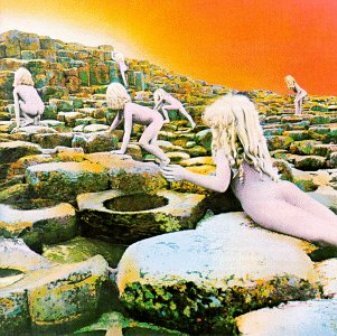 But here’s the rub: even if Led Zeppelin plays it safe, I freely admint that yes, I’ll buy the standard and collector-issue DVDs of the December 10 show that are sure to land at Best Buy soon. Now that’s what I call superhype. This entry was posted in Marketing and tagged Led Zeppelin, Marketing, rock. Bookmark the permalink. I think part of what\’s driving the reunion stuff is that when they saw how much money other bands were making to cash in on their brands, like The Police and Van Halen… it made a lot of sense. I have a friend who is a rabid VH fan and he went to two of the sold-out shows in Detroit and Toronto… which, like The Police, had no new album or greatest hits package to support or push. … the new Led Zepplin the Ride at Hard Rock Park in Myrtle Beach—which was just started ride testing as of the last week or so! Oh, and thanks for that mental image of a naked crawl through broken glass. Hope someone at 02 Arena might offer you a spot of Bactine. Also, concerts seem to be the only way the music biz is making any money now that CD sales are circling the drain. Imagine the profit margin on a $30 T-shirt. There he goes again– Kashmir! Stumbled on this and put a link to it on the ledzeppelin.com site. Interesting perspective. Hopefully you\’ve found a copy of the show on the \’net and saw the reunion wasn\’t all simply superhype — it was just super. Cheers!